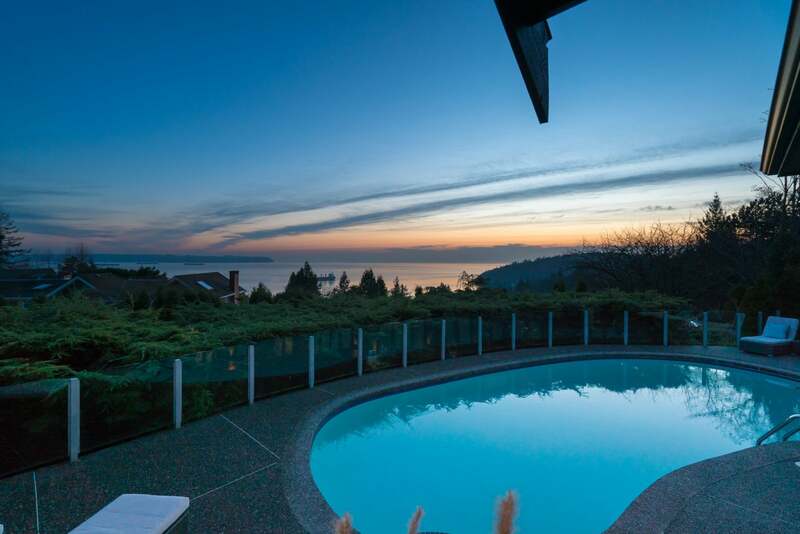 This gorgeous three level home features six bedrooms and five bathrooms with some of the most breathtaking panoramic views West Vancouver has to offer. 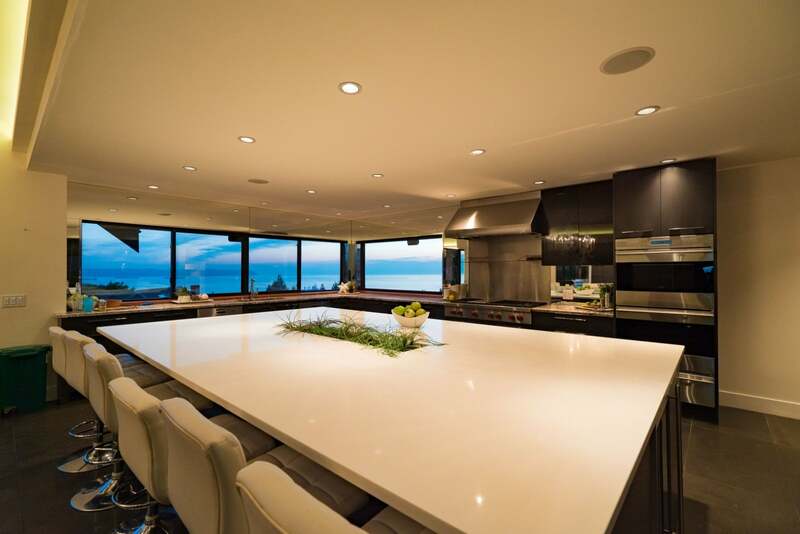 It was masterfully built by premium Karnak Pro builders and designed by renowned David Christopher, all with the specific intent of capturing the natural surroundings in spectacular Ocean views. 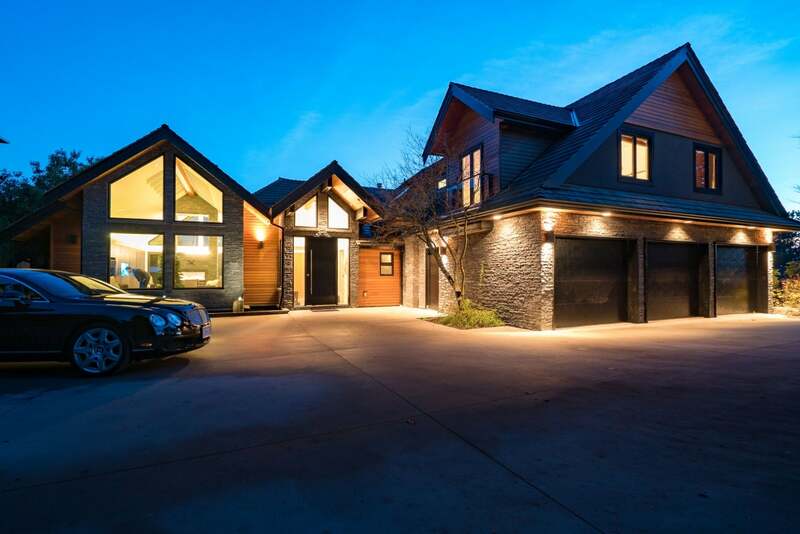 The gated entry greets you with a soothing and beautifully lit water feature, A triple garage with custom cabinetry, I’m parking for five vehicles. The front door impresses in a Mercedes black pearl, and the greatroom’s 22 foot high vaulted ceiling‘s invite you through the foyer into the heart of the home. Relax with an abundance of light and massive floor to ceiling custom rock fireplace, exquisitely fashioned to match the exterior. Flowing through the kitchen area reveals a massive 20 x 6‘ island with insert, and top-of-the-line appliances including a six burner wolf range, subzero fridge, Miele espresso machine, and wine fridge. The custom cabinetry throughout is finished with piano black doors and the view through the south west facing windows is simply stunning!